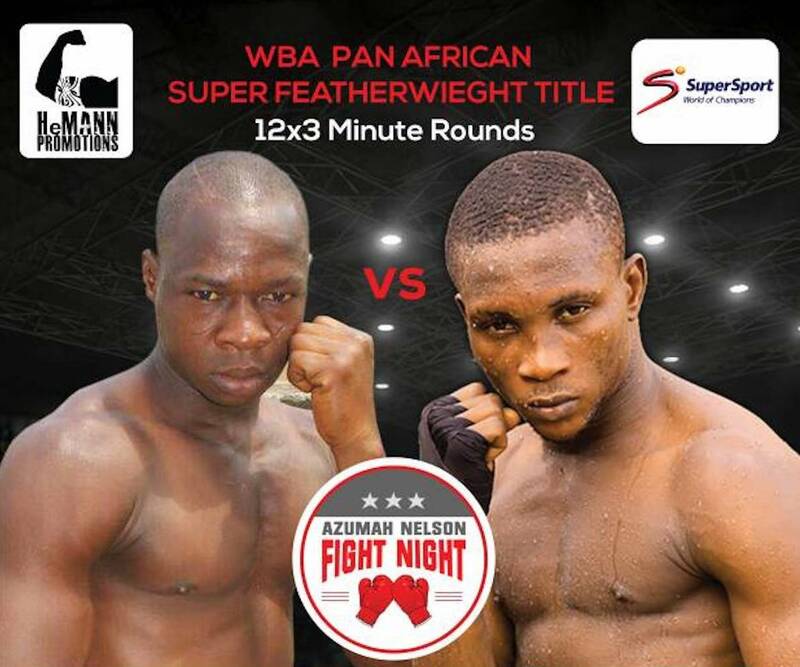 Somebody’s ‘0’ will have to go on Saturday night in Accra when Ghana’s Bright ‘Checker’ Ayala battles Nigeria’s Wahab ‘Seunzy’ Oluwaseun who lives and fights in Ghana in the headliner of the Azumah Nelson Fight Night 5 round 2 at the Bukom Boxing Arena. Both are undefeated, Ayala chalking 9 KOs in 14 straight victories since turning professional in September 2013 whilst Oluwaseun also boasts 15 wins, no loss with 10 knockouts to boot. They’ve had to wait longer than expected to slug it out in the ring following the rain-off of the fight on its originally scheduled date of December 9 last year but both boxers insist they are ready to run away with the vacant WBA Pan-African super featherweight belt at stake on the show which will be screened to over 54 countries across Africa and even beyond on Supersport on DSTV. “There was no need to be disappointed, I just went back to train harder in order to be ready for the new date. God’s time is the best, both I and my opponent trained and prepared for the first date but nobody got any advantage following the postponement,” Wahab told Dornu’s Corner in Accra. But up for whatever the Nigerian throws at him is the quiet Ghanaian who prefers to let his fist do the talking for him, Ayala insisting it’s his time to rule come Saturday night. “I’m excited that he’s undefeated, I’m also undefeated so I will teach him some few boxing lessons. Let’s just pray for God to make us all see 24th and we will find out who’s the best because I’m more than ready,” Ayala said. “I assure my fans that I will make them happy, this will be my Easter gift to them. Like it should have been in December but God knows best why it didn’t happen, now it’s in Easter and I will make sure my fans celebrate,” 22 year old Ayala affirmed. Oluwaseun, 26 however has his own master plan for which he is appealing to fight fans to troop to the boxing arena to witness history. “So December 9 didn’t happen but March 24 is here and I’m going for it. I’m just going out there to do what I love to do, no need to talk again. I just want people to come and see me teach him boxing,” Seunzy Wahab said. All roads thereby lead to the Bukom Boxing Arena in the Ghanaian capital this Saturday for Hemann Promotions’ action packed bill featuring five must-see fights with Ayala versus Oluwaseun as the main fight of course. Tickets are priced at GH¢20 for regular stadium seating, GH¢150 for VIP, GH¢300 for VVIP ringside and GH¢450 for ringside table and can be bought online at Ezeepay (www.ezeepaygh.com) or by calling the promoters on +233209524864 or +233266086004.